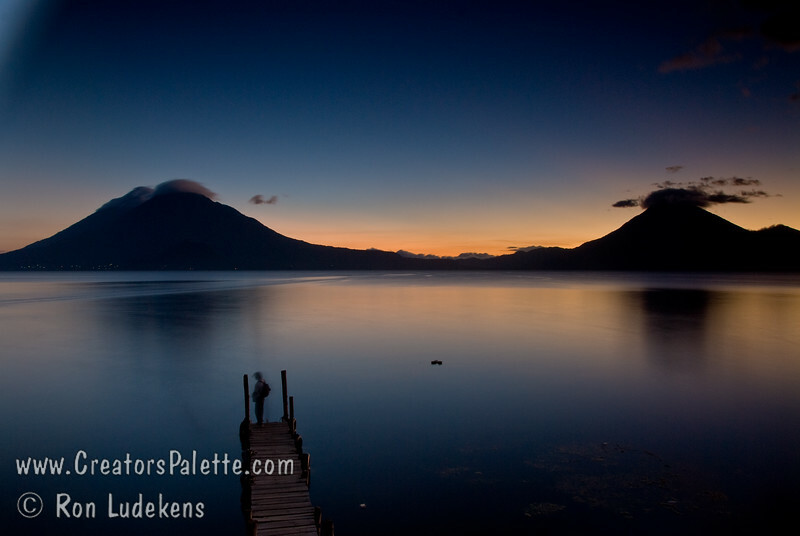 Sunset over Lake Atitlan from Panajachel, Guatemala. San Pedro Volcano on right with interesting cloud and Toliman Volcano with Atitlan Volcano behind it on left. Sliver of moon starting to appear.